I’ve been very distracted this week – with good reason. This is the first week my daughters have been out of school for summer vacation and we’ve been all trying to transition into our new summer schedule. It’s always a little strange at first to go from spending time with just my son all day to having all three kids with me all the time. Re-adjusting to summer break hasn’t been as easy as I hoped. Monday night I was so frazzled I wondered how I would manage the rest of the summer. But here we are, Thursday, doing incredibly well after a family meeting. Now you may be wondering what this has to do with stuffed portobello mushrooms. Well.. it has nothing to do with them except preparing them was a good reminder I need to just go with the flow while parenting and cooking. Tomorrow my husband and I leave for Los Angeles for the Dole Cookoff I posted about here. I’ve been frantically trying to get our house in order for several people to come watch our kids while we’re gone. This included cleaning out the refrigerator and stocking up on groceries. 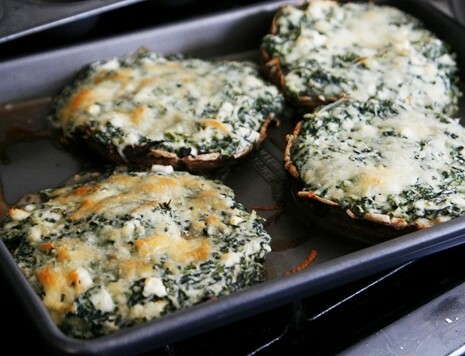 I had four portobello mushrooms which I knew would not wait for me to enjoy when we return next week so I looked into whatever else I had in the fridge to come up with a simple side dish to dinner. 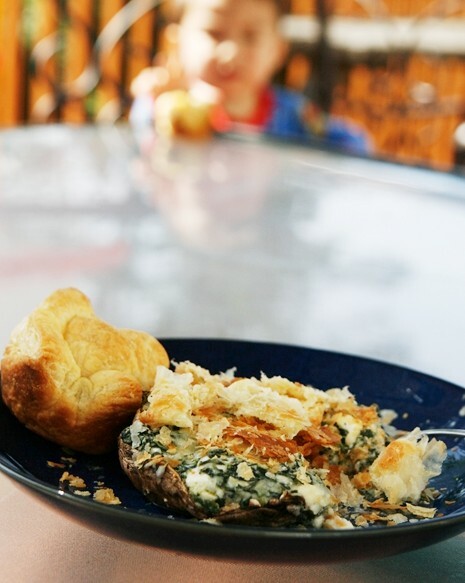 What I came up with were these easy,delicious, savory stuffed mushrooms I baked and devoured. I also had this nifty idea to make puff pasty cups using a muffin tin to fill with sweet cream and fresh raspberries. Sadly, my little experiment didn’t turn out so well. They puffed into rolls and were also treated like so. After baking the portobello mushrooms I crushed one of the rolls on top of my mushroom and I must confess how much I enjoyed those little flakes of golden goodness which is puff pasty. Making the filling for the stuffed mushrooms is pretty easy and would make a great side dish with any meal or as a main dish served with pasta. YUM! 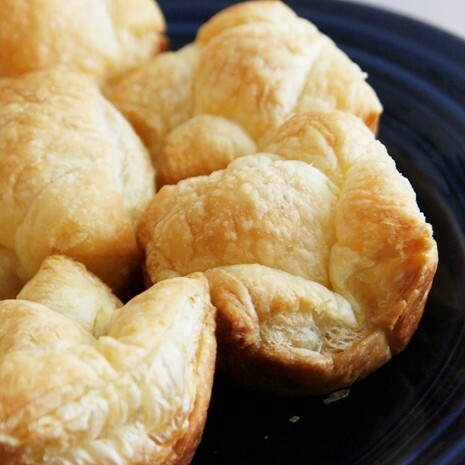 The hardest part to this dish is resisting the urge to eat the filling with a spoon. Other than that.. it is pretty straightforward and simple. 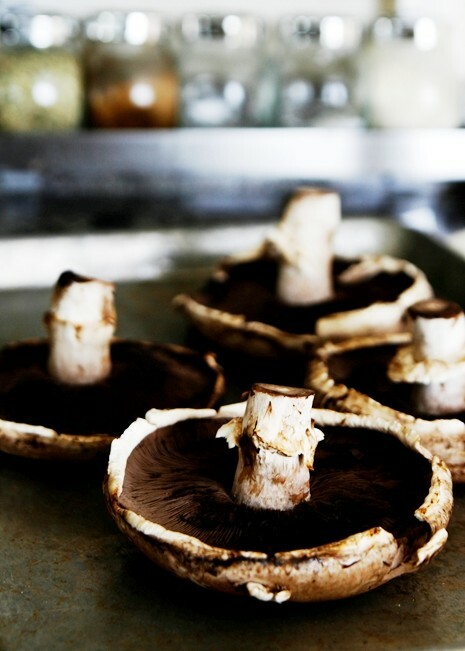 Wash each mushroom. Remove the stem and gills with the side of the spoon. Rinse one more time to remove any mushroom bits and set aside. 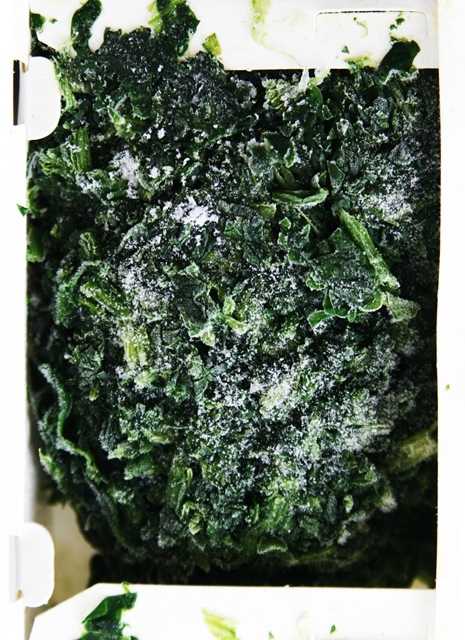 Remove frozen spinach from container and microwave for three minutes. Squeeze out any excess water with the back of a spoon. 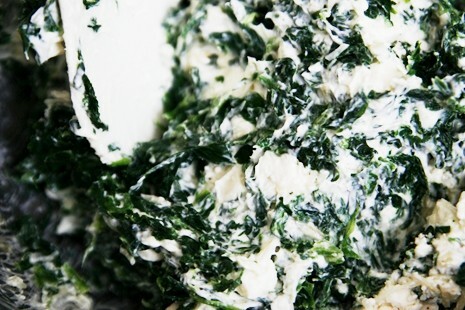 In a medium bowl, mix spinach with cream cheese, feta cheese, and half of the Parmesan. 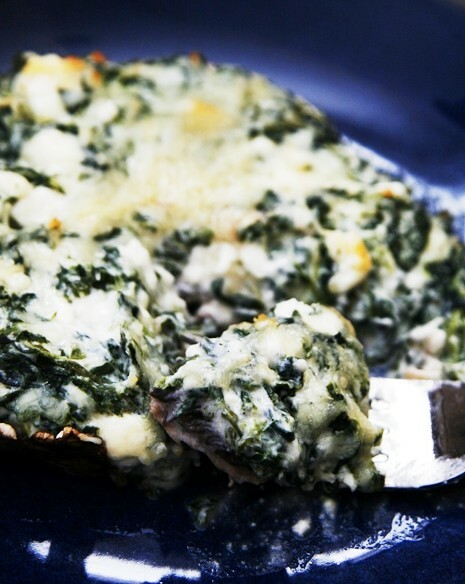 Spoon and spread spinach filling over each mushroom. 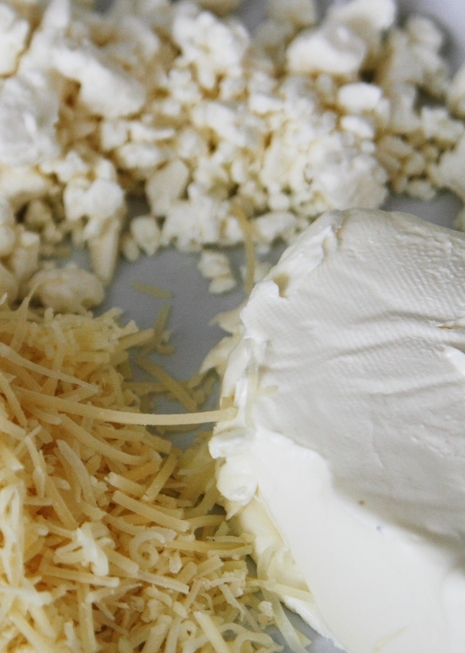 Sprinkle the remaining Parmesan to top of each mushroom. Bake for 20 minutes. Voila! Directions: Preheat oven to 400 degrees. 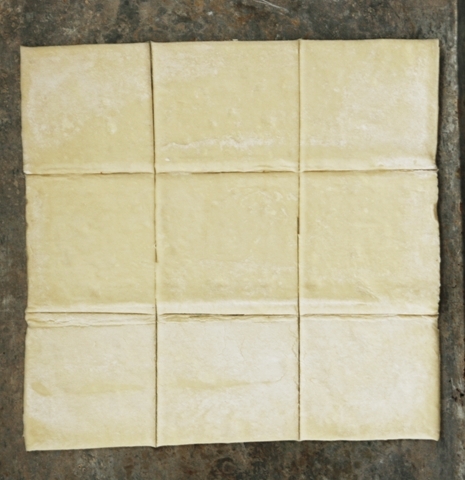 Spray a cookie sheet with non stick spray. 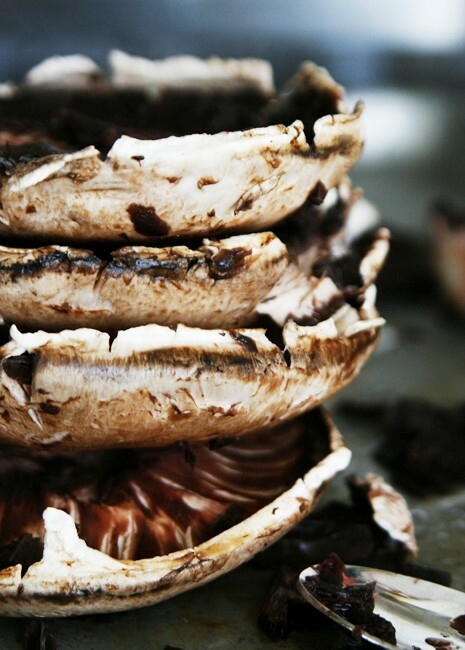 Lay each mushroom on top. 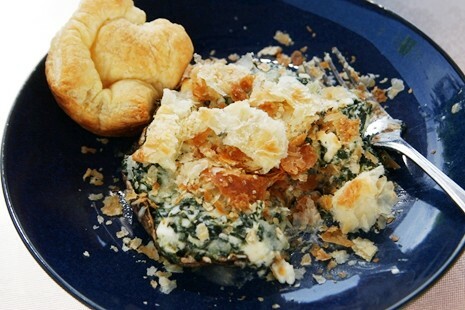 Combine spinach, cream cheese, feta, half of the Parmesan, garlic powder, salt and pepper. 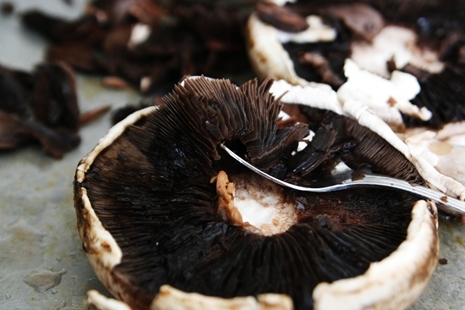 Spoon and spread the filling inside each mushroom top. 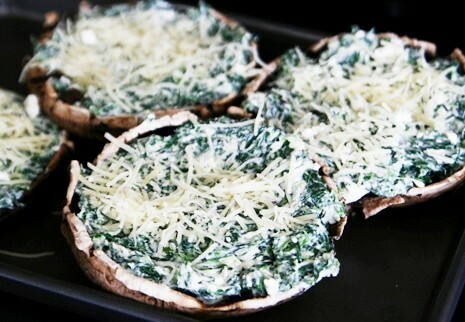 Sprinkle remaining Parmesan cheese over the tops of each mushroom and bake for 20 minutes. Enjoy! Do you have the nutritional info for these?? Looks yummy! Will be trying these this weekend! 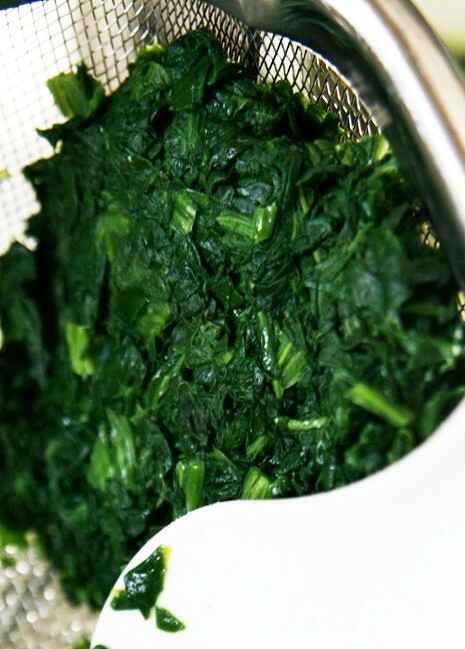 You will want to cook the spinach for 30 seconds in boiling water. Strain the spinach and allow it to cool enough for you to squeeze the water out. Use as the recipe intended. Hi, You’ll want to cook the spinach in hot water for half a minute, strain the spinach of water and use as the recipe states. I haven’t had this in awhile and it is making me hungry!